After SAP-Concur Buy, Is Expense Management Hot? Two weeks ago, German enterprise application software giant SAP (SAP) bought travel expense management developer Concur Technologies (CNQR) in a somewhat surprising $8.3 billion deal. For fiscal 2013, amid a string of quarterly losses, the 21-year-old Concur posted a $24.4 million loss on $546 million in sales. Two weeks ago, German enterprise application software giant SAP (SAP) bought travel expense management developer Concur Technologies (CNQR) in a somewhat surprising $8.3 billion deal. For fiscal 2013, amid a string of quarterly losses, the 21-year old Concur posted a $24.4 million loss on $546 million in sales. Think the outsized deal, which exceeded Concur’s market cap by more than $1 billion, caught its much smaller rival Certify’s eye? Apparently it did. 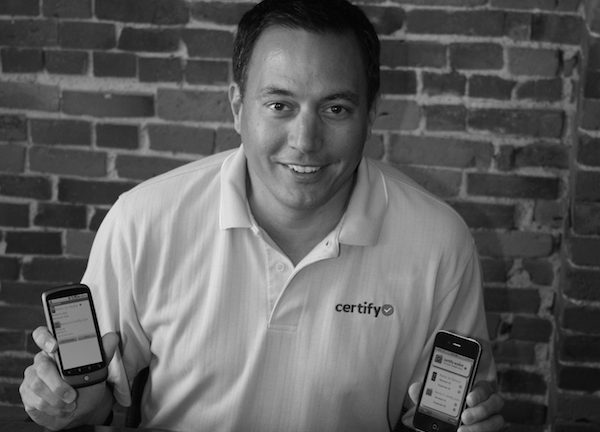 In the suddenly visible $50 billion global segment, Certify, a Portland, Maine-headquartered, cloud-based travel and expense management software provider, wants its mark on center stage as well. The privately held Certify is fresh off an upgrade of its automated ReportExective platform—featuring new elements such as an enterprise dashboard offering a view of key metrics and single sign-on for its mobile-enabled app. The improvements are aimed at helping its core customers—accountants and executives—better assess and manage expense spending. “The enterprise dashboard feature development comes directly from customer requests,” said Robert Neveu, Certify chief executive. “This allows our clients to obtain a visual understanding of employee spending trends, while also gaining insights into potential cost savings and opportunities to optimize T&E budgets,” he said. Certify believes it makes a strong case as the fastest growing independent provider in the sector despite its smallish stature. Neveu points to the developer’s 78 percent CAGR for each of the past three years, resulting in 600 percent aggregate growth; an annual transaction growth of more than 200 percent during the same time period; some 1 million paying users, including clients in 18 countries among heavyweights Pitney Bowes, Subway sandwiches and Little Caesars pizza. Approximately 25 percent of Certify’s sales go through resellers and referral channels, including corporate travel agencies, payroll/HR providers, financial institutions and accounting software resellers. At this point, Certify’s largest channel relationship is with payroll vendor Kronos, which sells the ReportExecutive platform directly to its customers and through its own reseller network. The expense management market is primed for growth and Certify is well-positioned to capitalize on the opportunity, said Neveu. And, the SAP/Concur deal could offer more opportunity for channel partners, according to Neveu, contending that overlap between the two companies’ channels will prompt some resellers to look elsewhere.